Make your wedding or event as unique as you are. 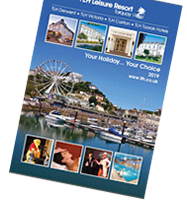 At TLH Leisure Resort, our Torquay Hotels each offer a different atmosphere so you’re sure to find one that suits your style. Maybe the glitzy Warwick ballroom is perfect for your black tie wedding, or the intimate garden conservatory is just right for a cosy ceremony. If you’re thinking of an outdoor wedding in Torquay, our elegant award-winning gardens now host our wedding gazebo! TLH Leisure Resort is ideal for all your celebrations, parties and special occasions. From small to large, informal to formal, you’re sure to find a wedding venue or the perfect event space here. We support all our guests in planning weddings and events with a dedicated special events advisor who’s here to help make organising every last detail as easy as possible. With 8 sophisticated and modern wedding venues to choose from, there’s nowhere better to plan your wedding in Torquay. Whether you’re looking for the perfect setting for an outdoor wedding or a large function room for a big reception party the extended family can enjoy, our bespoke packages put your wish list at the heart of our wedding planning services. You can rely on the TLH team to pay special attention to every detail of your wedding day and we’ll help you create that special atmosphere you’re looking for. If you're planning a wedding in Torquay then look no further than our Hotels in Torquay. From the best Christmas Party Nights in town to all manner of celebrations and occasions, you know you’ll have a great time here at TLH Leisure Resort. You can indulge in a girly get-together in our Aztec Spa, or choose from our exciting choice of kids parties - the choices are endless. TLH Leisure Resort offers the ideal solution to all your business needs with a unique choice of accommodation, business and leisure all on one site. We have a selection of day delegate and 24-hour packages available for meetings, conferences and seminars plus a wide choice of venues. Our thoughts are with you at this difficult time. We offer a personal service so you'll generally speak to and see the same person here at TLH. We can help organise an after-funeral gathering for any size and hope to make things as easy as we can. 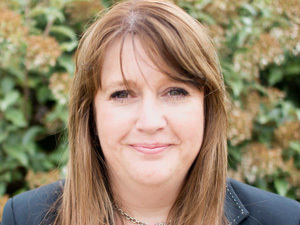 Joss Smith is our Events Co-ordinator and will be happy to discuss your own particular event or occasion.